Click here to see the article in People that featured co-owners, co-authors, co-creators of YourNovel.com, Kathy M. Newbern and J.S. Fletcher, who created the literary genre of the personalized romance novel. USAToday said: "A 'Novel' wedding gift is just a click away. Forget monogrammed towels and skip the bridal registry when shopping for the perfect wedding gift this year. Yournovel.com provides a page-turning alternative to the post-nuptial blender. For about $50, the intended couple can relive romance in one of eight personalized books that range from 'mild' to "wild.' "
Watch Bob Dotson's story about YourNovel.com, which aired on NBC's "The Today Show" in his "An American Story" segment. Featured are Kathy & Fletcher, as well as customers Deb & Mikie West. Yournovel.com offers a novel (heh heh) service that will appeal to all you romance fans out there. With just a few clicks of the mouse, you and your honey can star in your very own personalized romance novel. 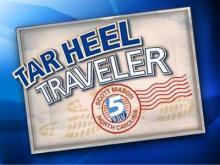 Scott Mason, host of WRAL's TV show "The Tar Heel Traveler", does a great job of capturing who we are and what we do. Click to read the Entrepreneur article. "As two writers in love, J.S. 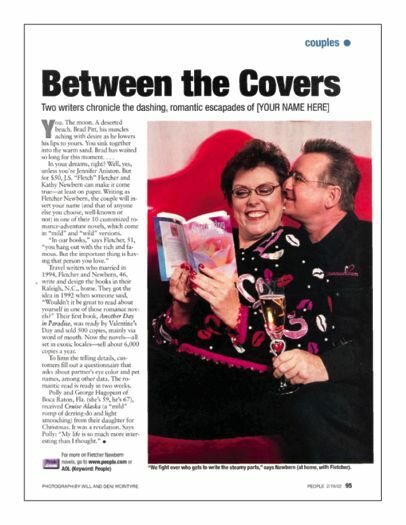 Fletcher and Kathy Newbern started a business creating personalized romance novels. "Many of our novels are inspired by our travels," Fletcher says. "But, truth be told, they're mostly inspired by our love for each other." 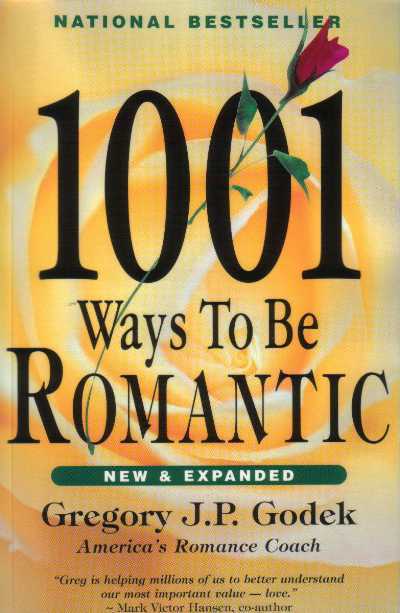 Here's what they had to say: Countdown to V-Day "Our week-long countdown to Valentine's begins today with a suggestion that will make it look as if you gave this some thought: a romance novel based on your relationship. "You don t have to write it, of course, you just have to supply 20 or so pertinent details about the two of you (eye color, hometowns, pet names) to the folks at yournovel.com, & the Raleigh husband-and-wife team will craft a real bodice-ripper with you & your honey as the primary characters." We're proud to be #327 in the original edition of Gregory JP Godek's internationally acclaimed book. Godek, a bestselling author referred to as "America's Romance Coach," said: "Would you like your life to read like a romance novel? Well now it can!" Here's what they had to say: "Imagine being that smooth dude in your sweetheart's favorite romance novel. After jumping over mountains, fighting wild elephants. . . you bring the love of your life to one of those explosions of ecstasy. "Imagine no longer. A North Carolina couple can help you. . . The couple has nabbed a slice of the romance novel pie." Showcase Productions had did a great job explaining what YourNovel.com is, what books and ebooks are available, how to order, and more. Click to read the DatingAdvice.com article. From seductive vampires and dashing ship captains, to smooth detectives and manly ranchers, any couple can star in their own personalized romance novel thanks to YourNovel.com. WRAL TV Anchorman Bill Leslie has Kathy Newbern - co-owner, co-founder, co-writer - at YourNovel.com on before Valentine's Day. Blog review in "Savory Savings." Blog review in "Mom, Are We There Yet?" Blog review in "Simple Wyrdings?" Blog review in "Cassandra M's Place." Blog review in "Deal Sharing Aunt." Blog review by WLZW's DJ Mark Richards. Blog review in "Cheapskate 4 Life." A novel romance: Looking for the perfect wedding gift? "She reads the book hungrily, holding it close, shutting her eyes as she catches her breath. Dark lashes flutter on her high cheekbones as she thrills to the throbbing story line. Suddenly, she gasps and her cheeks flush crimson. Her hand flies to her silken throat as she realizes these are not some fictional heroine and hero she is reading about, but herself and her beloved. There, in black and white and blush all over, she is reading their names. You too can share in such a scene and thrill to your quickening pulse as you read your very own name and that of your beloved entwined in a tale of heaving bosom and fiery desire..."
Blog review in "With Our Best." Blog review in "Shibley Smiles." Blog review in "SMS Non-Fiction Book Reviews." Blog review on "Jenn's Review Blog." Blog review on "Shop at Home." Blog review on "Thrifty Mom." Blog review on "Star Focal." Click here to read what Shira Lazer had to write about YourNovel.com in her Offbeat Holiday Gift Guide. Hint: we are #7. Click here to read what The Plain Dealer's Michael Heaton wrote about YourNovel.com in his column - "The Minister of Culture's gift tips for guys: Holiday Gift Guide 2014." Click here to read what Bottom Line's Karen Larsen chose for their list of Personalized Presents - Special Gifts That Won't Break the Budget. Click here to read the gift list that Long Distance Relationship Magazine compiled. We love being #13. 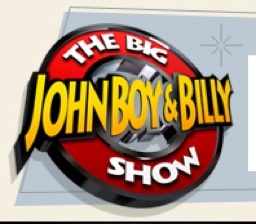 Click here to listen to Kathy having fun with John Boy & Billy on the nationally syndicated The Big Show. Click here to read what Matt Schur says about YourNovel.com in his National Federation of Indepentent Business column "My Weird Business." Click here to listen to San Diego's KGB-FM hosts Bob and Coe as they star in their own romance novels. Click here to read the interview with YourNovel.com's creators, Kathy M. Newbern & J.S. Fletcher. 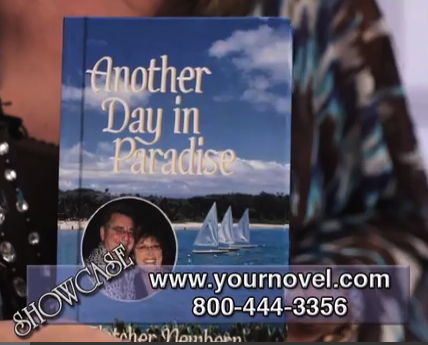 Click here to see what KGWN News in Cheyenne, WY, had to say about YourNovel.com. "People who wish to star in a romance novel can order a book from www.yournovel.com."